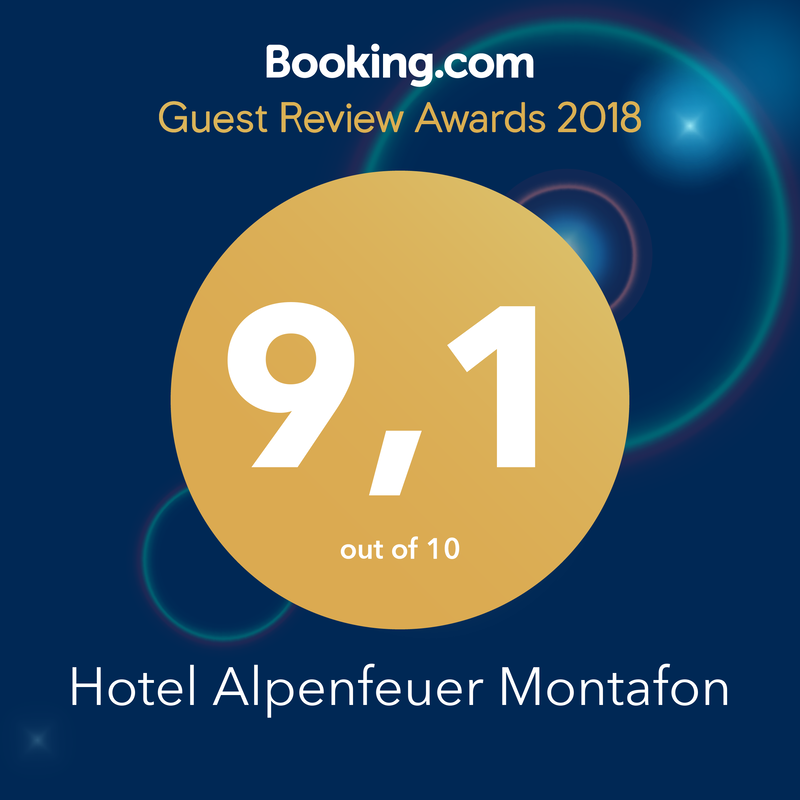 On this page you will find all the information you need for a pleasant stay at Hotel Alpenfeuer Montafon. We are also available to you with further questions on site. On the day of arrival the room is available from 15:00. If you arrive later than 19:00, please contact us. You can find the exact route description HERE. Check-out time is 10 am. However, you can leave your luggage with us in the hotel until the final departure. The community doctor Dr. Buzmaniuk you can reach by phone +4355576204. There you will also find a small house apotheke at ordination times. We would be happy to provide information about the ski resorts, hiking, mountain biking, etc. We are also available to you help you with insider tips from the locals' point of view. You are welcome to book your consumed drinks on your room. With a signature on the invoice we ask you to confirm it daily. You can pay the entire invoice amount in cash, with EC card, Mastercard or Visa. All electrical connections in the rooms lead to alternating current (220V / 50Hz). For our Swiss guests, please note that you need an adapter for your electrical appliances. Unfortunately, it sometimes happens that your planned vacation due to illness, death, etc. can not take place. To save you the trouble, we recommend you a hotel cancellation insurance. Dog owners with their favorites are very welcome. We ask you to contact us before booking. Both the ski card, as well as the hiking pass you can buy at us at the reception. So you save yourself the queuing at the lift. To make the check-in process easier and quicker, we ask you to fill in the online check-in form before arrival. You are welcome to submit your postcards or letters to us at the reception. The mailbox is emptied daily, so you can be sure that your mail arrives at the recipient on time. Our hotel is a complete non-smoking house. However, in front of our Hotel Alpenfeuer Montafon and on the room balcony can be smoked. The reception is open daily from 8am to 10pm. If you arrive later than 07:00 pm, we kindly ask you to contact us. In our ski cellar you can keep your equipment. A shoe dryer is also available there. The ski and hiking bus stops 150 meters before our Hotel Alpenfeuer Montafon (Gortipohl center). From here you reach in 7 minutes either the valley station of the Valiserabahn (St. Gallenkirch) or the Versettlabahn (Gaschurn). The ski and hiking eldorado Silvretta Montafon can be reached in a very short time. Our fire & ice wellness area is open daily from 02:30 pm to 07:00 pm. Saunas and bathrobes are available for our guests. In the entire Hotel Alpenfeuer Montafon you can surf in the Internet free of charge. Each comfort room has its own room safe. Here you can keep your valuables with a self-generated 4-digit pin code.